Although this isn’t always practical, especially with vacation rentals, it is helpful to live as close to your rental property as possible. This will allow you to check on the property periodically. If you want to go inside an apartment, then you need to give your tenants notice. Living close by also makes it easier to take care of minor repairs, which can save you money in the long run. Landlord-tenant law varies from state to state. They cover everything from security deposits to how much notice you can give a tenant when you want them to vacate. There are also federal laws that apply to habitability and antidiscrimination. This is nothing you can gloss over. As long as you are in compliance, you won’t have any problem with the state or city. 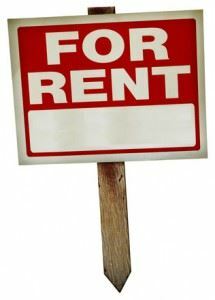 This might seem obvious but you need to enforce your rent payment schedule. Often, landlords will get very friendly with their tenants, which sets up a kind of unwritten “grace period.” Even partial payments should not be accepted. If you have late fees in the lease, then you need to enforce them. Obviously, circumstances can change such as with the loss of a job that is more a problem with the for the tenant than for you. This goes back to that idea of keeping your rental property as a business. Just because you are not living at your rental property doesn’t mean it should be maintained the same standards that you keep around your own home. When you care enough to take care of the property your tenants should feel the same way. That means making sure any debris or clutter is removed promptly when a tenant moves out. Junk King Indianapolis can be a big help with this type of endeavor. They’ll send over a pair of strong movers and a truck big enough to hold whatever it is you want to toss out. Hiring Junk King Indianapolis to clear out rubbish from your rental property is a smart landlord move. This entry was posted in Indianapolis Junk Removal and tagged clutter, junk King Indianapolis, junk removal, landlord, rubbish on July 25, 2017 by Junk King. Last updated July 25, 2017 .